The Trump Administration likes to play with fire. Now it may be playing with a fire-resistant material that is also a deadly carcinogen. After years of receding as a public health threat, asbestos could make a comeback. When Donald Trump joined his father in the New York real estate business in the late 1960s, the use of asbestos in high-rise construction was widespread. Yet within a few years it was revealed that the substance was highly dangerous for those who mined it, those who processed it and those who applied it. The hazard had actually been known for decades but had been kept secret by companies such as Johns-Manville in one of the most egregious corporate deceptions of the 20th Century. Paul Brodeur’s 1985 book on the subject was called Outrageous Misconduct. Asbestos producers and users were hit with tens of thousands of lawsuits, which forced Manville and other companies into bankruptcy. Use of the material was largely eliminated and vast sums were spent to remove existing asbestos from countless buildings. Donald Trump appears to be ignorant of this history. In 2012 he tweeted his support for asbestos, claiming that if it had been more widely used in the old World Trade Center the Twin Towers would have survived the 9/11 attack. He did not mention that asbestos fibers were present in the dust clouds generated by the disaster and are believed to be among the causes of the high rate of cancer among first responders and Ground Zero workers. The EPA is vehemently denying that is the case, insisting that it is actually strengthening asbestos regulation. An agency scientist told CNN that “the SNUR is really a good news story for public health protection.” The argument is that the rule would allow the EPA on a case-by-case basis to impose restrictions that may not currently exist. Unfortunately, it’s true that the United States, unlike many other countries, never fully banned the use of asbestos. 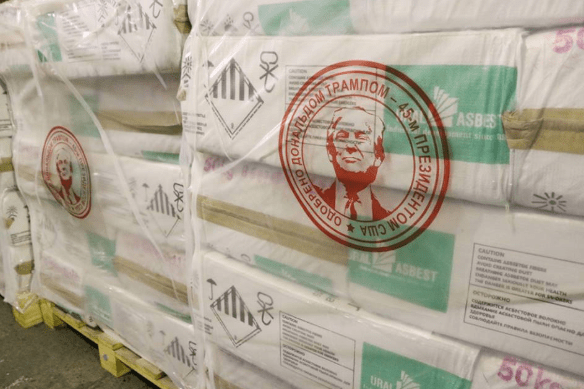 It is difficult to believe that the EPA, which has engaged in a deregulatory frenzy since Trump took office, will suddenly abandon its industry friends and embrace public health considerations in responding to new asbestos proposals. Posted in Business and politics, Environment, Regulation | Comments Off on Fake Environmental Regulation? At a moment when there is all too much talk in Washington about deregulation, a helpful counterpoint has arrived from the Political Economy Research Institute in the form of the latest edition of the Toxic 100, a compilation of the companies responsible for the highest volumes of industrial pollution. The project, which has been providing this information since 2004, now has rankings on three kinds of pollution: air, water and greenhouse gases. The lists include environmental justice indicators that highlight the disproportionate effect on low-income and minority communities. The companies on these lists represent some of the biggest threats to the physical well-being of the people of the United States. The top tier of the air pollution list, which is based on data from the EPA’s Toxics Release Inventory, contains the kind of industrial giants one might expect: DowDuPont, General Electric, Royal Dutch Shell and Arconic (a spinoff of Alcoa). Yet number one is the less well known Zachry Group, an engineering company that operates dirty manufacturing facilities in North Carolina and Texas. Also in the top ten is Berkshire Hathaway by virtue of its ownership of companies such as Johns Manville, Pacificorp and MidAmerican Energy. The top tier of the greenhouse gas list, based on other EPA data, is dominated by companies operating lots of fossil fuel power plants: Southern Company, Duke Energy, American Electric Power and NRG Energy. These are the companies Trump is aiding with his attack on the Obama Administration’s Clean Power Plan. Berkshire Hathaway is the only parent company in the top ten on both the air and greenhouse gas lists; it ranks 21st in water pollution. I could not resist the temptation to check where the companies that rank high on the Toxic 100 lists show up in Violation Tracker. This is partly because Rich Puchalsky, who serves as the data management specialist for the Toxic 100, has also played an essential role in the construction and expansion of Violation Tracker. Rich kindly created for me a spreadsheet combining rankings from the two projects. Looking first at the Toxic Air 100, I see there are unsurprising overlaps with the 100 most penalized companies in Violation Tracker—BP, Exxon Mobil, Royal Dutch Shell, Phillips 66, etc. Yet there are some very large air polluters that have faced much smaller penalties, including the Zachry Group cited above and TMS International, a steel industry service company. The EPA should take note. As for the Greenhouse 100, there are expected overlaps with the Violation Tracker top 100—such as Duke Energy, American Electric Power, FirstEnergy, etc. But there are some discrepancies. Large CO2 emitters such as Energy Future Holdings, Great Plains Energy, and OGE Energy have not received substantial penalties. The EPA might want to check these as well. Beyond the specifics of individual companies, there is a broader issue here: what is the connection between fines and emissions? 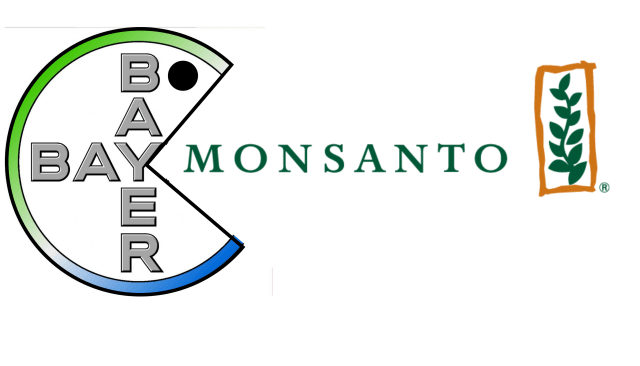 Although the releases reported in the Toxic 100 are technically not illegal, those companies are likely to be creating unsanctioned emissions as well. Fines could bring about reductions in both categories. Yet many big polluters treat the penalties as a tolerable cost of doing business and fail to do enough to clean up their facilities. That suggests the need for newer and more effective forms of enforcement. Deregulation is not one of them. It remains to be seen how high the new special counsel Robert Mueller aims his probe of the Trump campaign, but there are reports that another prominent investigation is targeting those at the top. German prosecutors are said to be examining the role of Volkswagen chief executive Matthias Muller and his predecessor Martin Winterkorn in the emissions cheating scheme perpetrated by the automaker. They are also looking at the chairman of Porsche SE, which has a controlling interest in VW. Mueller and Muller, by the way, have more of a connection than the similarity of their names. Last year, the former FBI director was chosen by a federal judge to serve as the “settlement master” to help resolve hundreds of lawsuits brought against VW in U.S. courts. Mueller has played a similar role regarding suits brought against Japanese airbag maker Takata. 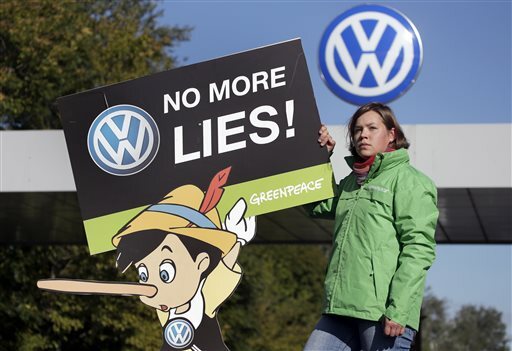 Although Winterkorn was forced to resign after the emissions scandal erupted in 2015, he and Muller — who was VW’s head of product planning while the cheating was taking place — denied any wrongdoing, and the company sought to pin the blame on lower-level managers. The initial U.S. Justice Department case against VW named no executives at all, though a company engineer later pleaded guilty to fraud charges and in January DOJ indicted six other VW middle managers. There is no question that many individuals had to be involved in a scheme as widespread as the one at VW. Although it was corrupt, VW was also bureaucratic, so it is to be expected that lower-level managers either sought permission from their superiors for undertaking a risky scheme — or they were carrying out a plot that originated from above. In fact, the New York Times reports that it has been shown internal company emails and memos suggesting that VW engineers implementing the scheme were operating with the knowledge and consent of top managers. As the evidence mounts, the issue for German prosecutors may no longer be whether the likes of Muller and Winterkorn were involved but whether they, the prosecutors, are willing to bring charges against those at the apex of the corporate hierarchy. In the United States, a reluctance to take that step has tainted the prosecution of business crime for more than a decade. At a time when discussion of whether anyone is above the law is the focus of discussion in the government realm, we should not forget that the principle applies in the corporate sector as well. Lurking behind the assault on regulation being carried out by the Trump Administration and its Congressional allies is the assumption that corporations, freed from bureaucratic meddling, will tend to do the right thing. That assumption is belied by a mountain of evidence that companies, if allowed to pursue profit without restraint, will act in ways that harm workers, consumers and communities. In fact, they will do so even when those restraints are theoretically in effect. The latest indication of the true proclivities of big business comes in a report just released by the U.S. Chemical Safety Board on a 2015 explosion at the Exxon Mobil refinery in Torrance, California. That accident spewed toxic debris and kept the facility at limited capacity for a year, boosting gasoline prices in the region and costing drivers in the state an estimated $2.4 billion. The CSB found that this incident occurred due to weaknesses in the ExxonMobil Torrance refinery’s process safety management system. These weaknesses led to operation of the FCC [fluid catalytic cracking] unit without pre-established safe operating limits and criteria for unit shutdown, reliance on safeguards that could not be verified, the degradation of a safety-critical safeguard, and the re-use of a previous procedure deviation without a sufficient hazard analysis that confirmed that the assumed process conditions were still valid. Exxon was also found to have used critical equipment beyond its expected safe operating life. The CSB investigation also discovered that a large piece of debris from the explosion narrowly missed hitting a tank containing tens of thousands of pounds of highly toxic modified hydrofluoric acid. 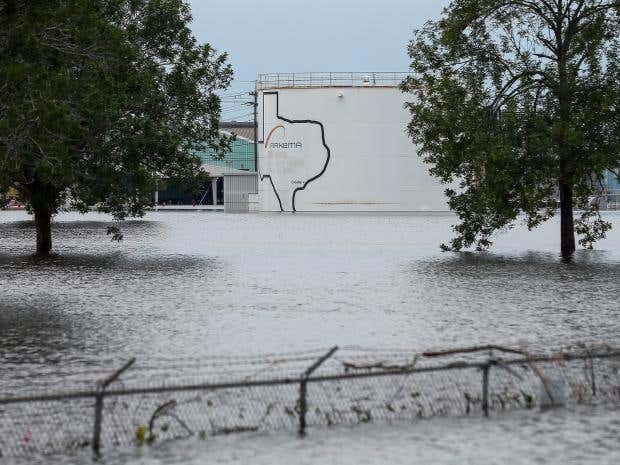 Exxon refused to respond to the agency’s request for information detailing the safeguards it had (or did not have) in place to prevent or mitigate a release of the acid. The agency has gone to court to try to get the information. The CSB is an investigatory and not a regulatory body, so it does not have the power to penalize Exxon for its role in bringing about what the agency called a “preventable” incident. Yet its report adds another entry to Exxon’s dismal corporate rap sheet. The Torrance refinery itself, which came from the Mobil side of the family, has a long history of fires, explosions and leaks. The rest of Exxon has a track record that includes the disastrous Exxon Valdez oil spill in Alaska, numerous pipeline accidents and much more, including many years of climate denial. This tainted record did not prevent the company’s CEO from being the U.S. Secretary of State. Last year, the Torrance refinery was sold by Exxon to PBF Energy, which has subsequently experienced “multiple incidents,” as the CSB diplomatically put it. No matter how many instances of corporate negligence are brought to light, there are always business apologists ready to point the finger at regulators instead. The gospel of deregulation is now the state religion of the Trump Administration. How many preventable disasters will it take to share that belief?